Your go-to-guide to delivering effective and transformative change that lasts. All too often, change efforts fail to deliver on their promise. However it is possible to turn an organization around quickly to create a new future – one where people think and behave differently and deliver extraordinary results together. 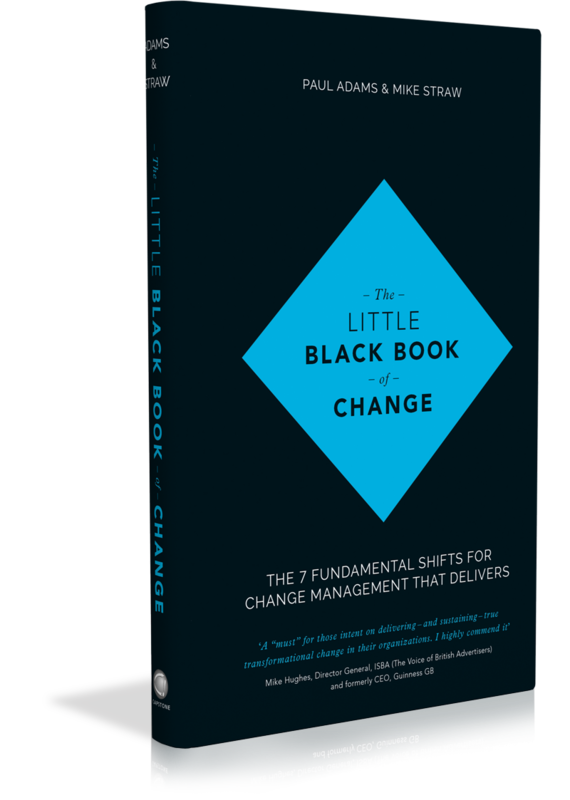 Whether you are the chairman, a board director or an aspiring senior executive, The Little Black Book of Change provides a practical, concise and insightful guide to understanding your organization and inventing something extraordinary. It is not about 'run of the mill' change programmes. It is about delivering extraordinary results – something that is not at all predictable. It will be your insight into creating significant shifts in the way people think and behave which can be applied in any area you wish; from improving service levels to cost reductions, innovation or increasing market share. This book is written for those who wish to deliver effective transformational change that lasts. Whether you are an aspiring senior executive, a middle manager, board director or chairman; it provides a practical, insightful guide to understanding your organization and inventing something extraordinary. Mike Straw has 25 years' experience in industry working with large corporations such as Roche, Novartis, PepsiCo, Diageo, Heineken, Microsoft, AMEX and acute NHS hospitals and is a regular speaker on the topic of transformative and cultural change. He founded Achieve Breakthrough in 2003, an award winning organizational change consultancy that helps clients to achieve and sustain significant step changes and business performance improvements. Management consultancy Achieve Breakthrough have won a national award twice for its outstanding and innovative achievements in people management and development: The CIPD L&D Consultancy of the Year 2015 and 2013. Mike is connected to Bath University Business School (UK) and Duke Corporate Education where he runs Breakthrough, Innovation and Leadership Transformation sections of their programmes. 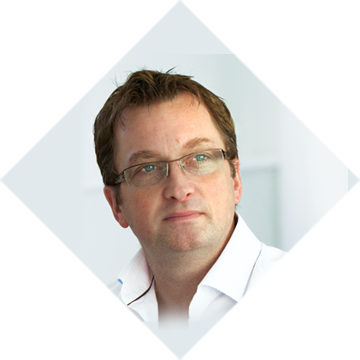 Paul Adams is CEO of a leading international technology company where he leads the global management team for the new business. He has a 20 year history in leadership/delivering organizational change to brands such as Diageo, The Co-Operative and Smith & Nephew plc, Talaris and Glory Global Solutions. 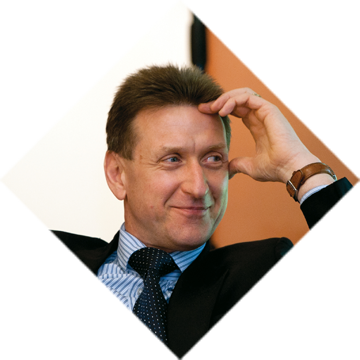 He has a wealth of knowledge from senior executive roles in healthcare, consumer products sectors, and retail and industrial service centres'. Previous experience includes board, management and commercial roles with a number of FTSE100 and private equity companies across Europe, the Americas and Asia; delivering key expertise in areas covering new production development, large and complex commercial deals, major global operations and manufacturing. "A "must" for those intent on delivering - and sustaining - true transformational change in their organizations. The real life case studies described in the book provide a compelling demonstration of the effectiveness of their approach, which is explained in clear, concise terms. I highly commend it." "Managers wishing to be successful in bringing about change will enjoy reading this book through twice in one afternoon and then start putting the suggestions and guidance into practice that evening. It is delightfully lean: It contains just the material needed for the purpose and leaves out unnecessary verbiage." "Anyone who has made change happen in an organization will find this book invaluable. Paul Adams and Mike Straw show how to deploy powerful change ideas and techniques in simple, practical, manageable ways with lots of examples and useful summaries - a terrific handbook for delivering change." "The powerful principles in this book will forever alter how leaders approach change and empower teams to deliver outstanding change by cutting through the noise and focusing on breakthrough results. A must-read!" "In a time where change is exponential, leading change is an essential skill for every modern leader. This book, drawn upon insights gained from real business experience, is a refreshing alternative to existing 'run of the mill' and more academic approaches. It is highlighting, in a very accessible manner, the importance of contextual adaption and of human centric design. A page turner, full of inspiring examples, practical analogies and down-to-earth advice on how to design and implement change in an effective, more engaging and sustainable manner." "Need a primer on engaging your team and managing through change? This volume has what you need. As a practitioner with over 25 years of business experience leading change, I've had the pleasure of working with both Paul and Mike over the last decade plus. These two have seen it all, and now they are sharing their knowledge and experience in an accessible, practical book. Follow their guidance - it works...and enjoy the read along the way." All too often, change efforts fail to deliver on their promise. However it is possible to turn an organization around quickly to create a new future one where people think and behave differently and deliver extraordinary results together. Committed to developing leaders who can make extraordinary things happen by design. The messages and learning in The Little Black Book of Change may at first appear simple. However, the shifts are not so easy to introduce and actually create and live the mindset and behaviour to make extraordinary things happen. We believe it would be easier if you had some help, so we have created the Extraordinary People Club for you to take advantage of. Think of the club as a coming together of like-minded people who look to further develop themselves, strive for extraordinary change and have the real determination to make things happen. There are meetings arranged during the year and a supporting series of learning tools and initiatives that are designed to further embed the concepts in this book. 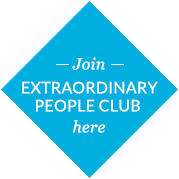 If you want to sign up for the Extraordinary People Club and training and development opportunities please contact us at the email address below. We look forward to hearing from you.